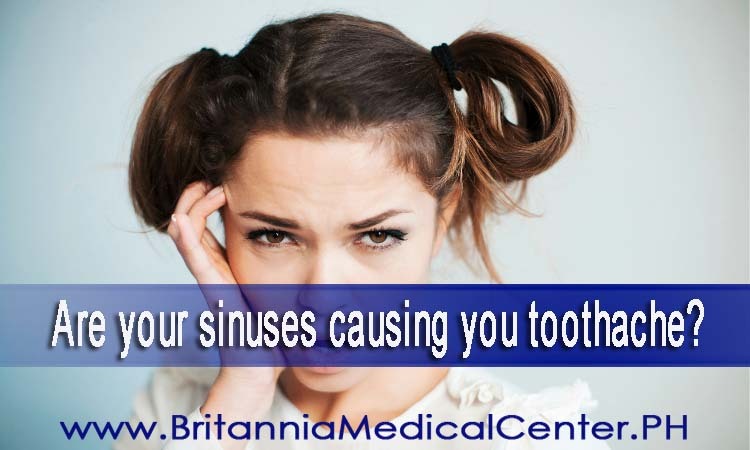 Are your sinuses causing you toothache? How do my sinuses affect my teeth? Sinuses are cavities in the skull which join up with the nasal passages and cheekbones. When we suffer from allergies or colds, these can become blocked, making us feel stuffy or causing difficulty breathing through the nose. Full sinuses exert pressure on the face, specifically on the back teeth of the upper jaw, which lie close to the sinuses. Inflammation of your sinuses could be a result of allergies, a cold or an underlying sinus infection. Sinus toothache can occur during the summer or winter but it needs to be diagnosed by a dental professional. What are the symptoms of sinus toothache? How do I treat sinus toothache? If you’re suffering from any kind of toothache, make sure you book an appointment to see one of our Britannia - The enclave dentists. They will be able to check your mouth over and help determine whether the pain is indeed sinus toothache or a result of tooth decay or other underlying issues. If you suspect you have sinus issues, you will also need to see your GP after your dentist has checked your teeth. Recurring or persistent symptoms could be a sign of a sinus infection, chronic sinusitis or an allergy, all of which require diagnosis by a doctor. After diagnosis, your GP may prescribe over-the-counter decongestants, which restrict the blood flow to the sinuses and reduce pressure. Anti-inflammatories also help relieve the pain of sinus toothache while antihistamines should be used if your problems are related to allergies. Most importantly, don’t suffer in silence! Make an appointment by calling 0925-567-5329 • 0908-865-5662 • 0917-566-1932 • 458-0717 and schedule a consultation today. Enclave Complex, Fil-Am Friendship Road, Angeles City. Not being able to smile properly due to lack of confidence can cause stress in social situations and make it difficult to interact with people properly. You may also find that daily tasks such as eating can be more painful with damaged teeth. A dental implant from Britannia Medical Center - The Enclave could be the solution you are looking for to completely transform your life, allowing you to enjoy even the toughest of foods without hesitation and restoring confidence in your smile. Dental implants are a cosmetic dentistry treatment that work by inserting an artificial tooth root into the jawbone. This tooth root is then used as a foundation to insert a bridge or crown which is visible above the gum line. They are designed to be fit in with your natural teeth and are the dental procedure that offer the closest option to restoring your own natural teeth. You may have lost or damaged teeth due to previous poor dental care or dental treatment. Alternatively you may be looking for a more permanent alternative or replacement to dentures. Dental implants provide a solution to all of these problems. Precautions must be taken to ensure the transition goes smoothly after surgery. The most ideal way to conduct your dietary lifestyle for the first week after surgery is to stick to soft foods and carefully progress to harder and chewier foods afterwards. If you have damaged or missing teeth you may have been avoiding eating some of your favourite foods as they are too difficult or painful to chew. After a tooth implant, you will notice that after time the inside of your mouth feels relatively normal again, allowing you to be able to enjoy all of your favourite meals again. Not only will dental implants make everyday tasks like eating more comfortable and enjoyable, but your appearance will also be significantly improved. Having a poor set of teeth can easily cause you to cover your mouth, shy away from photographs or avoid expressing happiness at all. It is easy to be embarrassed about your smile when your teeth are either deformed or missing, and this can have a negative effect on your self-esteem. Dental implants can provide an answer to this simple problem, allowing you to smile with confidence again. Unlike bridges and dentures which need to be replaced every few years, dental implants are are a long term teeth replacement solution which will remain with you for life. Unlike dentures, dental implants will not slip around and they do not require augmenting healthy teeth, which is often required with dental bridges. Instead, they provide you with one of the most reliable, natural and easy to maintain dental solutions and can be treated as part of your existing dental hygiene routine. 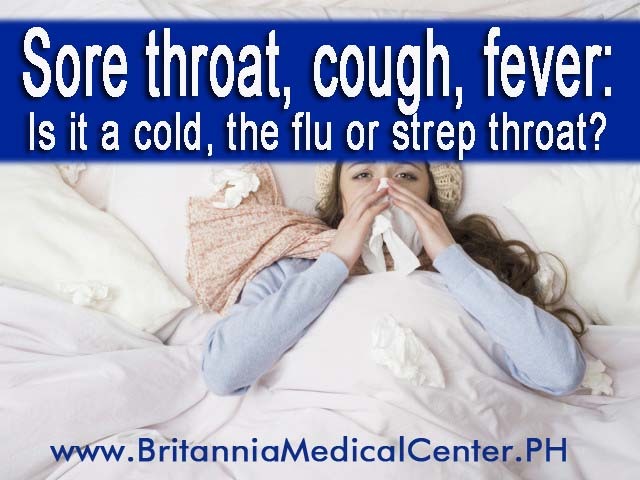 Sore throat, cough, fever: Is it a cold, the flu or strep throat? The common cold is an upper respiratory illness, meaning that it affects the nose, throat and sinuses but not the lungs. It is caused by a virus. Although some people think colds are more common in the cold seasons, you can actually get a cold in any season. It is spread from person to person through hands, sneezing, or coughing. What are the symptoms of a cold? Like the common cold, the flu is caused by a virus, but it’s a different kind of virus. It is more common beginning in October and ending in May (flu season). It can make you feel really terrible, and for some people it can cause serious problems. So what are you waiting for? Get a flu shot! You don’t need this kind of trouble in your life. Most people feel better within 1–2 weeks. Strep throat is an infection of your throat that is NOT caused by a virus, but by a bacteria called Group A Streptococcus. This is where antibiotics are helpful, because they are made to kill bacteria. Illnesses like cold, flu and strep throat can make the winter months a challenge. It helps is to take good care of yourself all year round, so when it’s time for your body to fight off an illness, it has the best possible chance of winning the fight as quickly as possible. Are you considering a smile makeover? A Smile Makeover is a procedure that uses a combination of individual dental treatments to improve the appearance and health of your smile. Your teeth can be straightened, re-shaped and whitened using a range of techniques. A smile makeover for one person may be completely different for another – making the choice very personal. Whatever the reason you have for disliking your teeth or gums, there are a variety of cosmetic dental options available to help you achieve your perfect smile. A combination of procedures such as fillings, veneers or teeth whitening are normally used to straighten and whiten your teeth. It is even possible for your dentist to create a wax mock-up to show you what your new smile will look like prior to any dental treatment. Smile Makeovers at Britannia - The Enclave? 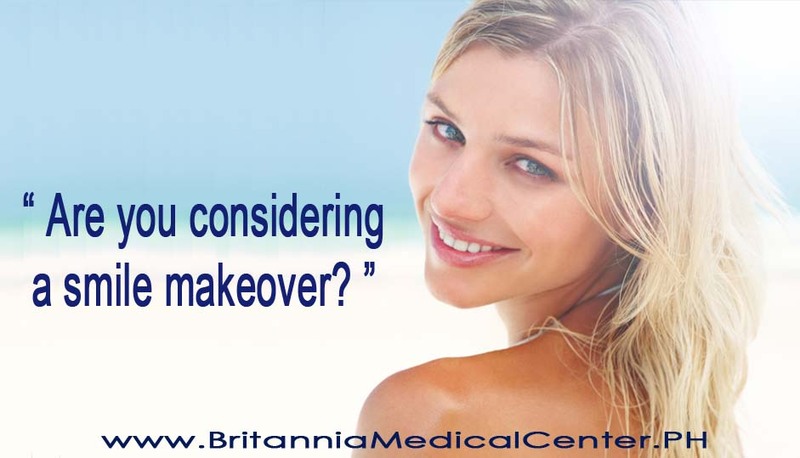 At Britannia Medical Center - The Enclave, we consider all available options to help improve the appearance and health of your smile. We treat each smile makeover individually and no two smile makeovers are ever the same. This is due to the level of commitment, finance and requirements you may have available to you. Our team are equipped to design the smile you’ve always wanted and work to satisfy these requirements as fully as possible. Are you embarrassed by the gaps in your teeth? For some people having a gap or gaps between your teeth can affect their confidence. If the gap in your teeth is particularly large it can make your teeth poorly aligned and lead to issues with your bite causing pain and tooth problems. For many people gaps in the teeth do not affect dental hygiene and can cause no issues. If however you are concerned about gaps in your teeth then it can helpful to know the options available to you. What causes gaps in your teeth? In Children: As a child’s mouth outgrows their baby teeth they may develop gaps. These will typically close as the child’s adult teeth push through and fill in the space. Dental gaps are normal as a child grows and acquires a full set of adult teeth. In Adults: Typically diastemas (gaps in the teeth) is caused by simply having too much space in your jaw to accommodate your teeth. Gaps can occur between any teeth but are typically noticed most when they occur between the front two teeth. They generally do not cause any dental issues but can be worsened if you develop a habit of pushing your tongue against them. Gaps in your teeth may also occur due to a tumour in your mouth or because of gum disease. Periodontal (gum) disease results in the loss of the bone that supports the teeth. For people who have lost a lot of bone, the teeth can become loose. This movement can result in gaps between the front teeth. If you feel any pain or find an abnormal lump in your mouth contact your dentist immediately so they can assess the cause. Gaps in the teeth can also be caused through an incorrect swallowing reflex. Instead of pressing the tongue against the roof of the mouth, some press their tongue against their front teeth which over time can cause the teeth to move. Lastly, you may have a gap in your teeth if you have lost a tooth perhaps through it being knocked out in an accident or through poor dental care which has resulted in the tooth needing to be removed. How can you close the gaps in your teeth? Whatever the reason for your having gaps in your teeth, there are a number of dental procedures you can undertake to close them. Dental implant treatment can be used to replace a single tooth or multiple teeth depending on the requirements. A dentist replaces the root of the missing tooth with a titanium screw and a crown is usually placed on top for a natural finish that fits in with your existing teeth. Dental implants are a preferred way of replacing missing teeth are they can be fitted without affecting adjacent teeth and as they fuse into the bone structure as a stable procedure. 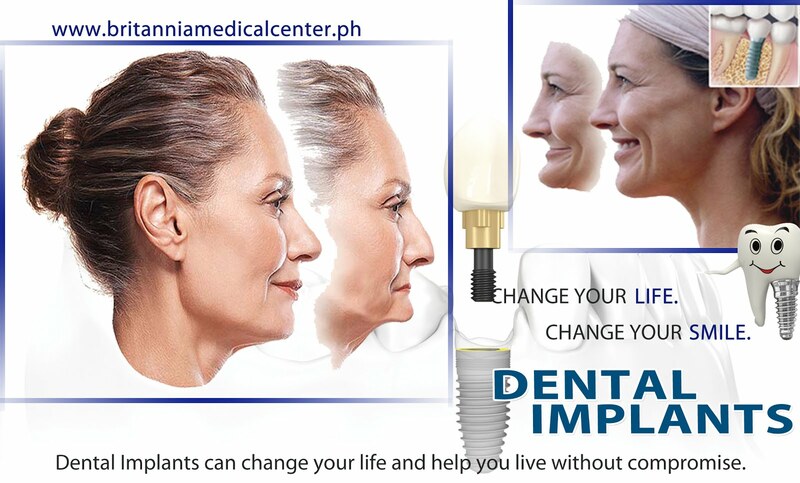 MORE ABOUT DENTAL IMPLANTS VISIT US! A dental veneer can be used to improve the position, shape and colour of your teeth. It involves placing a shell over your tooth and looks natural once completed. It will not only close the gaps in your teeth but can help straighten and whiten your smile. MORE ABOUT DENTAL VENEERS VISIT US! There are a variety or dental braces and retainers available that can help close the gaps between your teeth. In some cases all that will be necessary is a removable retainer. Braces and retainers may be your preferred choice as they are cheaper and do not involve adding anything to your natural smile. Advances in cosmetic dentistry have introduced clear braces to the dental market. These are often used by adults who want to undergo treatment without others noticing. If the gap in your teeth is caused by gum disease your dentist will assist you in improving your dental hygiene, possibly recommending a course of antibiotics and for you to have your teeth deep cleaned every 3-6 months. 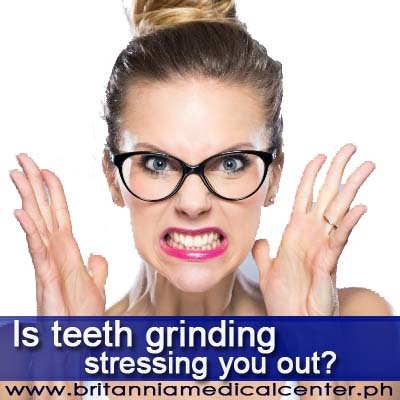 Teeth grinding (or bruxism) affects around 6 million people in the UK. While episodes may come and go for many of us, persistent grinding can lead to discomfort, tension and further health problems. In 80% of cases, teeth grinding occurs during sleep and you or your partner may have been woken by this habit. Bruxism can also occur during the day if you’re concentrating hard or feeling anxious, but this form is more common as jaw clenching. Why does my child grind their teeth? It is thought that 1 in 5 children aged up to 11 grinds their teeth. This often comes on when each set of teeth come through. After this, it should calm down, but may carry on into adulthood for the same reasons as adults experience bruxism. Does teeth grinding damage my teeth? How do I stop grinding my teeth? Most cases of teeth grinding are only temporary. But if yours is ongoing and causing problems, your dentist may be able to fit you with a mouth splint or mouth guard to be worn during sleep. These don’t stop teeth grinding, but they do provide a shield to prevent further damage. The only way to stop teeth grinding for good is to try to discover the cause. If you suspect stress or medication is to blame, it’s just as important to speak to your GP. They may be able to suggest alternative medications as well as counselling. It might even be as simple as making small lifestyle and dietary changes. Prioritising time for yourself, meditation and breathing techniques, writing down your thoughts, walking and yoga are all positive ways to relieve stress and anxiety. Don’t let teeth grinding grind you down! If you suspect teeth grinding is causing your mouth issues, book a check-up as soon as possible. Our dentists at Britannia Medical Center - The Enclave will be able to assess any damage and suggest the next steps for you.